Buds are thicker and tighter, denser and more orange, because they have dramatically increased the proportion of small flowers at the buds and leaves. 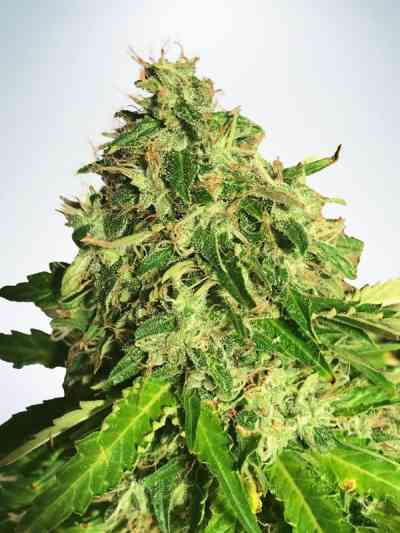 It is far more productive, because it is taller and has a very dense structure of lateral branches that produce many side buds that greatly increase the total weight of the plant. 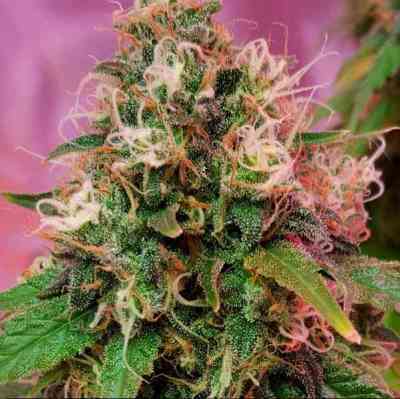 The fat buds tend to bend the branches and some particularly large plants produce up to 250 grams.